Text by Konrad Bitterli, Valentina Liernur, Karin Schneider, Ines Katzenstein. This is the first monograph on the New York–based, Buenos Aires–born Alejandra Seeber (born 1968). In her often large-scale works, Seeber explores the possibilities of painting in between figuration and abstraction. Her ambivalent pictorial language cannot be deciphered on a linear path, since in her colorful, shining paintings, out of nonrepresentational elements, narrative references suddenly emerge. There are allusions to subjects that dissolve instantly into expressive chromaticity and painterly dynamics. 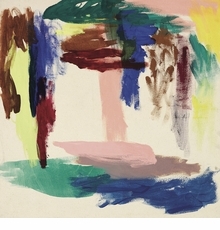 Seeber has characterized the act of painting as a journey with an undefined destination. Her work has been exhibited around the world, including the Bronx Museum of Art, Brazil's Biennial Mercosul and the Kunstmuseum St. Gallen. 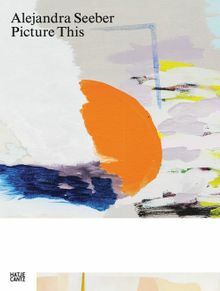 This monograph includes an essay by Konrad Bitterli and Ines Katzenstein, director of MoMA's Research Institute for the Study of Art from Latin America, and an interview by artist Valentina Liernur. Hardcover, 7.5 x 10 in. / 176 pgs / 134 color.